for 11 months 5 days. 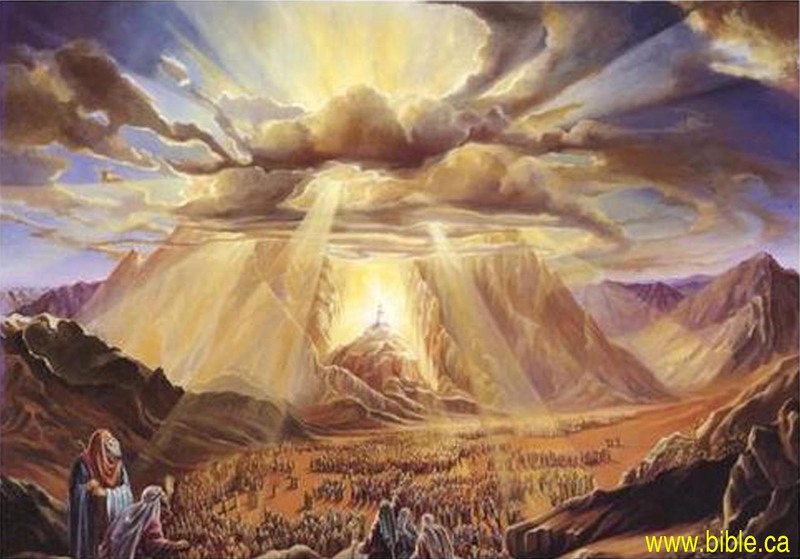 Israel's Arrival in the Wilderness of Sinai ends the most important stage of the journey. They have escaped the slavery of Egypt, have come to God and are about to receive the Law of Moses. 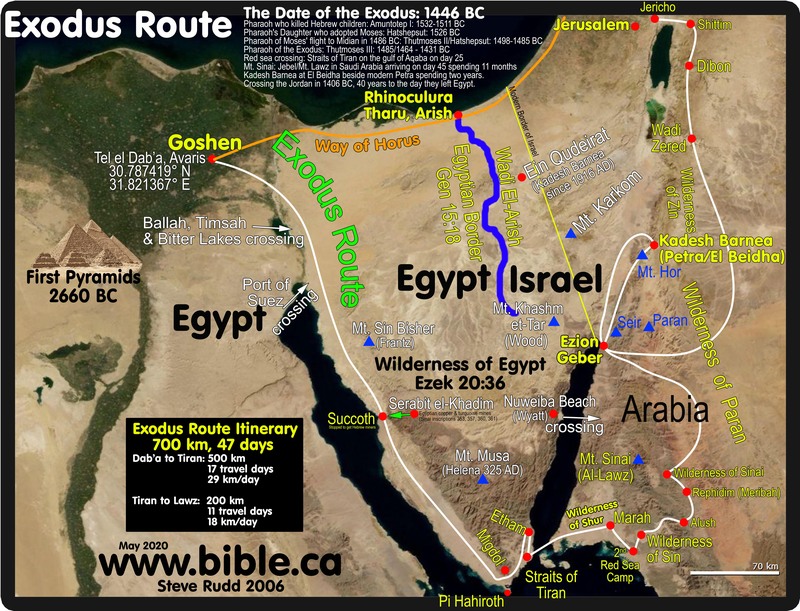 The Hebrews will spend 11 months, 5 days at Sinai before moving north to Kadesh. Moses saw the burning bush in the wilderness of Sinai, not at Mt. Sinai: Acts 7:30. The burning bush marked the spot where Israel would camp several month later. How far was the Hebrew camp from the place they stood? Given the fact that there are 2.5 million of them, the camp was probably 10 km from the foot of the mountain. All this leads us believe that the Hebrew camp in the wilderness of Sinai was likely 5-10 km due east from the foot of the mountain. 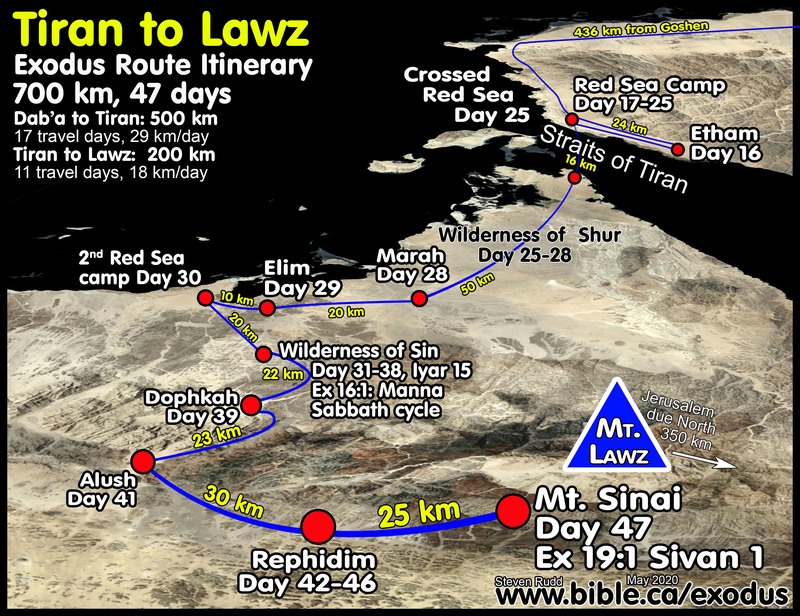 The Bible tells us that it was a 44 day journey from Goshen to Sinai. They left Goshen on Passover (14th day of the first month) and arrived at the Wilderness of Sin on the 15th day of the second month (Saturday) and arrived at the Wilderness of Sinai on the 1st day of the third month (Friday). This equals 44 days. It took 24 days to travel 490 km to the Red Sea and they spent 8 days camped there waiting for Pharaoh's army to come. 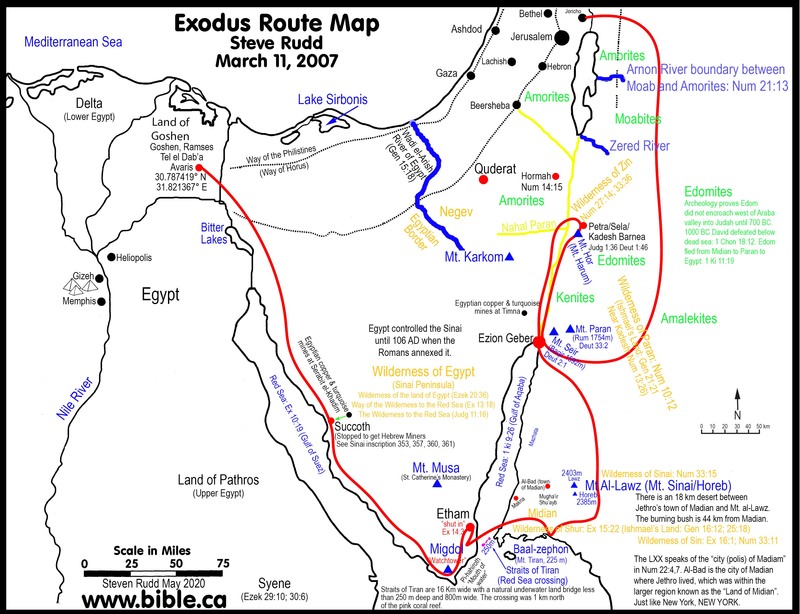 It took 20 days to travel 260 km to Sinai after the Red Sea including 7 days camping in the wilderness of Sin and 2 days battling the Amalekites at Rephidim. 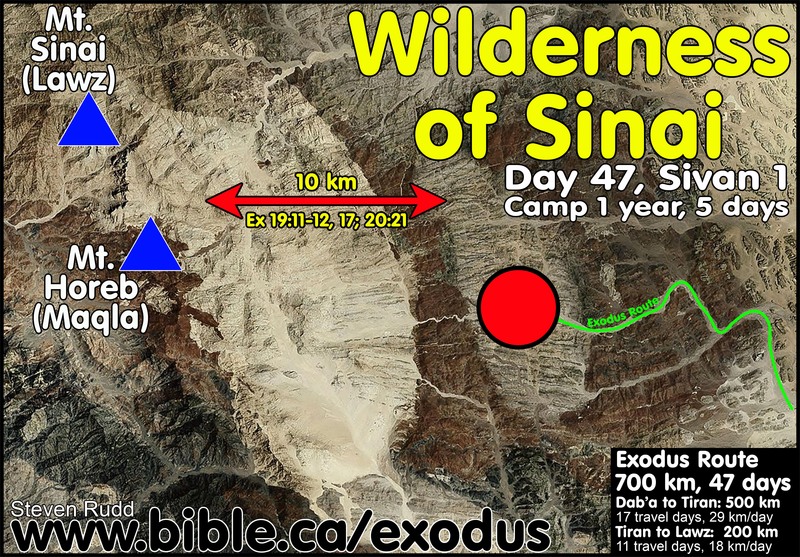 The specific problem of the Wilderness of Sinai with if at Mt. Musa in the Sinai, is that there is a narrow difficult valley that must be traveled through to get from the open plain to the foot of Mt. Musa. 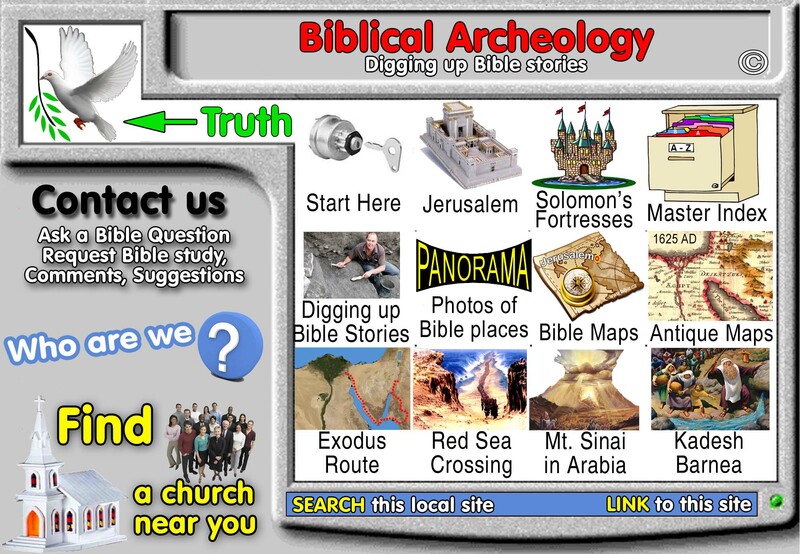 The Bible indicates there was a wide open area before the mountain, just like we see at Mt. Lawz. The second with Mt. Musa, is that there is no place to put any large group of people at the foot of the mountain, whereas there is plenty of room at Lawz.